The construction of the new RP-NAUTA 100’ custom yacht is proceeding at full speed at Southern Wind Shipyard in Cape Town, South Africa. Work is on target for the launching date and hull lamination is right on schedule. 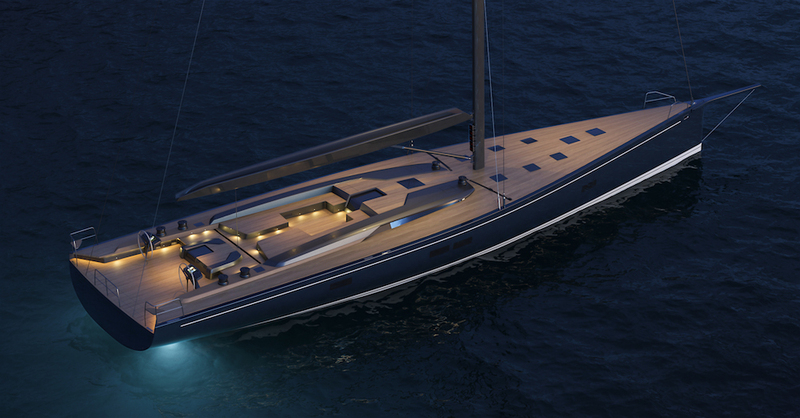 Featuring general concept, exterior and interior design by Nauta Design, Naval Architecture by Reichel Pugh Yacht Design, structural engineering by Gurit and systems and construction by Southern Wind, the yacht is scheduled for delivery in Spring 2020. The RP-NAUTA 100’ was commissioned by an experienced yachtsman who started the design process in 2017 with Nauta Design. 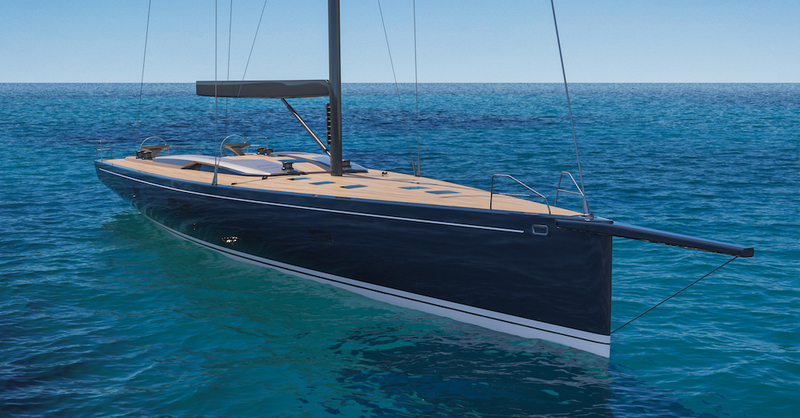 Soon afterwards Reichel Pugh Yacht Design joined the team. Southern Wind has been selected as builder after carefully evaluating a range of other world famous shipyards. The Owner’s main brief was for a very fast performance cruiser with an aggressive and sporty look. 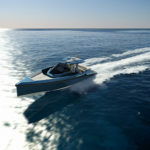 Since the owner plans to enjoy this yacht for years to come, the yacht’s look and onboard technology had to per designed to stay at the forefront long after the launch. 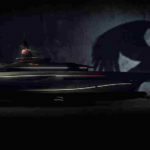 The outcome is a very fast 63 tons full carbon racer cruiser with a lifting keel (6.10m-3.90m). 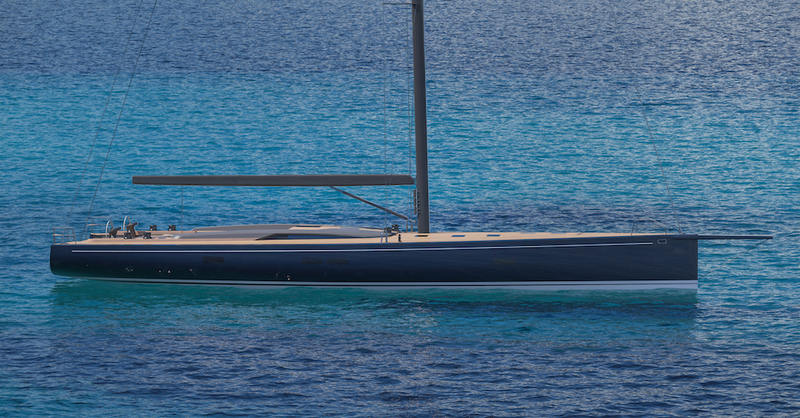 Her elegant and powerful hull lines and a large sail area assure top performance even in light air. The RP-Nauta 100’ features a modern deck design, marked by a very low freeboard and a sleek coachroof which appears to be suspended in air thanks to clever and discreet use of teak, glass and composite. The deck is also very clean as all tracks for manoeuvres have been recessed. The interiors, as per the Owner’s request, feature a seafaring look that recalls the aggressive and modern look of the exterior. The interior layout features a spectacular saloon with a studio area, 3 guest cabins with the Owner’s suite located forward, and a comfortable and functional crew area aft. The crew area includes two cabins, the navigation control station, the galley and a crew mess.